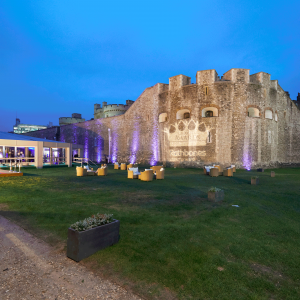 The winners of the 19th annual Charity Awards, organised by Civil Society Media, were announced last night at a black-tie event at the Tower of London. There was a winner in each of the ten categories and the overall winner was Who Cares? Scotland. The winners accepted their prizes before an audience of voluntary sector leaders, frontline staff and celebrities at a ceremony hosted by Reverend Richard Coles, Radio 4 broadcaster, writer and Church of England priest, best known for his recent appearance on Strictly Come Dancing and previously for having been one half of the 1980s band The Communards. Charities that enter the awards are judged against our ‘Hallmarks of Excellence’ by an a panel of experts. Museum of London Archaeology won the arts, culture and heritage category for a project mapping Britain’s coastal heritage. Who Cares? Scotland won the campaigning and advocacy category for securing a root-and-branch review of the Scottish care system. Redthread Youth won the children and youth category for an intervention to break the cycle of knife violence. Autistica won the disability category for creating a new approach to listen to the needs of autistic people. Resuscitation Council won the education and training category for saving more lives by giving training in CPR. Surfers Against Sewage won the environment and conservation category for a project halting plastic pollution at its source. Family Fund won the grantmaking and funding category for raising funds by sub-contracting grant-giving expertise. Scottish Professional Football League Trust won the healthcare and medical research category for a project using football club loyalty to improve men’s health. Tearfund won the international aid and development category for bringing sexual violence in South Africa out in the open. Volunteering Matters won the social care, advice and support category for a project setting up ‘grandmentors’ to support care leavers.